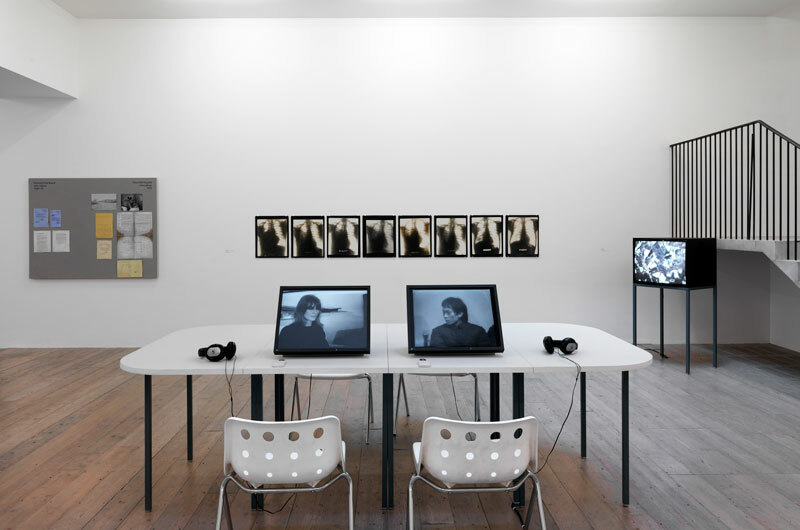 Retrospective curated by Antony Hudek & Alex Sainsbury, in consultation with Barbara Steveni at Raven Row. 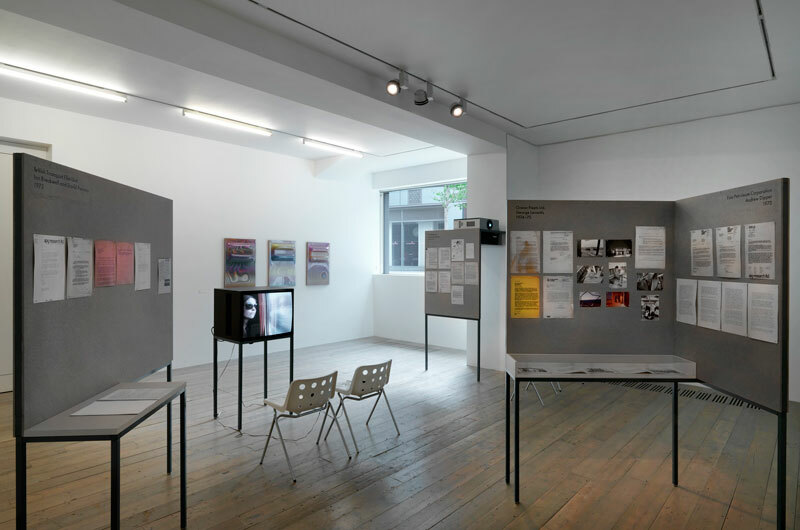 Exhibition containing a number of key artworks together with large quantities of archive material from Artist Placement Group - a pioneering organisation that negotiated placements for artists within industry & government departments from the mid 1960's to around 1980. We were keen to avoid an overly formal presentation & wanted a simple way to show the works which came in a variety of media as well as documentation consisting of letters, reports & photos mainly displayed as reproductions. The solution was to provide a loose system acknowledging a corporate / industrial vocabulary which allowed for changes & reconfiguration throughout the duration of exhibition. A simple palette of one inch square section steel tube for freestanding structures, grey recycled paper boards for pinning up reproduction material, & pale lino tabletops for reports / artworks was used. The freestanding structures divided up the larger spaces with titled pinboards indicating each placement.